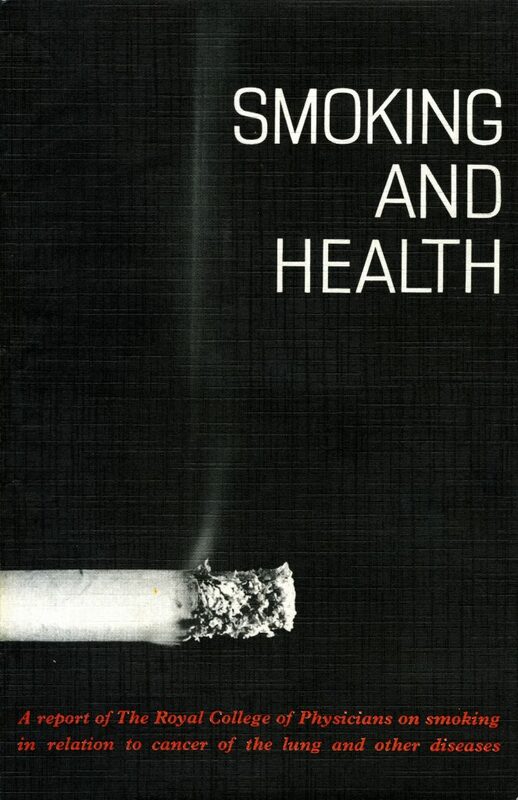 In 1962 the Royal College of Physicians published a landmark report on the dangers of smoking tobacco, titled Smoking and health. The publication marked a new era for medicine, public health and the role of the Royal College of Physicians. The report was a huge success, selling out its first print run of 10,000 copies in just two days. It marked a real change in direction for the Royal College of Physicians, ensuring that the college would be an authoritative voice in matters of public health. The RCP continues to be involved in smoking and air pollution matters today, and in 2016 co-authored the report Every breath we take: the lifelong impact of air pollution, outlining the dangerous impact air pollution is having on the nation’s health.